This week’s Economist’s cover story, “The New Scramble for Africa” is a welcome, general overview of geopolitical dynamics on the continent. Understood in a continuum of famous Economist Africa cover stories - 2000’s “The Hopeless Continent” and 2011’s “Africa Rising,” the latest approach is the best yet, eschewing one up-or-down meta-narrative about a landmass of endless diversity and complexity. Instead the briefing focuses on the broad range of interests that are driving all types of international engagement with African states, and situates the interests of those African states themselves front and center. The content is thoughtful and informative. From the perspective of U.S. engagement with Africa, it’s also frustrating. Anyone who has spent significant time in the orbit of U.S.-Africa policy has written at least a dozen versions of the “why Africa matters” argument by the time they hit a mid-career phase—in memos, in speeches, in prose and in quick bullet points, with and without graphics. Over and over, one is called upon to enumerate the security issues with implications for the United States; the economic and commercial potential of over a billion Africans, the importance of African votes in multilateral fora, the strategic significance of certain resources and African geographies, and the impossibility of addressing global commons issues without African buy-in. Unspoken but usually hanging over these analyses is the sense that one is refuting conventional wisdom about whether or not Africa is a venue for “real” foreign policy. The Economist piece feels a variation on this theme. It urges the reader—look at this! Much of the non-African world clearly thinks Africa matters, for all of the aforementioned reasons and more! The dynamics recounted in the piece—more embassy openings, more head of state visits, more trading partners—are by and large laudable, and the Economist is right that this wide array of potential partners should mean more leverage for Africans looking for the most advantageous terms. But they shouldn’t be surprising. To some degree, it is frustrating that this is news in 2019. These days, many foreign policy thinkers are rightly spending time thinking about what should replace the post-WW II liberal international order that the current U.S. government seems so driven to dismantle. It’s worth remembering that by 2050, one in four people on earth will be African. 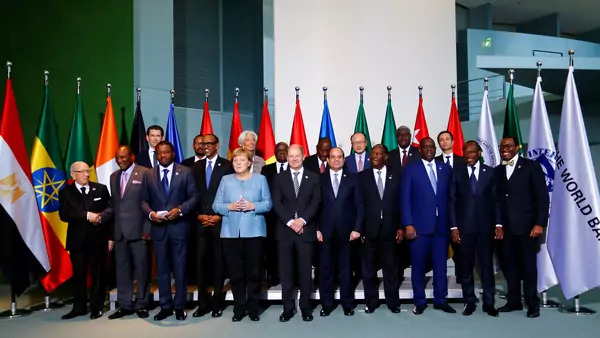 Given the demographic realities and the sheer number of issues that cannot be resolved without global cooperation, no vision for a new order is likely to succeed without meaningful African buy-in and attention to African equities. It’s past time to stop being surprised by Africa’s relevance.